Zydeco legend Terrance Simien and his Zydeco Experience Band will perform at Greenville’s Bistro Off Broadway on Thursday, October 26. According to DCCA Artistic Director Keith Rawlins, Terrance Simien is one of the most respected and accomplished artists in American roots music today. “Terrance is a force of nature; his musical abilities are matched by his joyous energy,” Mr. Rawlins said. “Believe me, the Bistro will be hopping during this show; everybody will be smiling and nobody will want the music to stop, including the musicians. This is truly a ‘don’t miss’ opportunity to see an internationally renowned artist whose unique talents are unparalleled,” Rawlins concluded. DCCA’s Coffeehouse Series presents high quality artists performing in a comfortable social setting where food and drink are also available. “The friendly, casual atmosphere enhances enjoyment of the performance, which is presented at a very accessible ticket price, making for a win-win situation for everyone,” stated Andrea Jordan, DCCA’s Executive Director. The performance by Terrance Simien and his band is sponsored by Ted and Diana Abney, Eileen and Steve Litchfield, Rodney Oda, and James and Julia Poeppleman. This presentation is supported by the Arts Midwest Touring Fund, a program of Arts Midwest that is funded by the National Endowment for the Arts, with additional contributions from the Ohio Arts Council and the Crane Group. The Ohio Arts Council helps fund this program with state tax dollars to encourage economic growth, educational excellence and cultural enrichment for all Ohioans. DCCA also receives operating support from the Harry D. and Esther Stephens Memorial as well as funding from the Ketrow Foundation and Lydia E. Schaurer Memorial Trust Fund. DCCA membership contributions also help support this show. 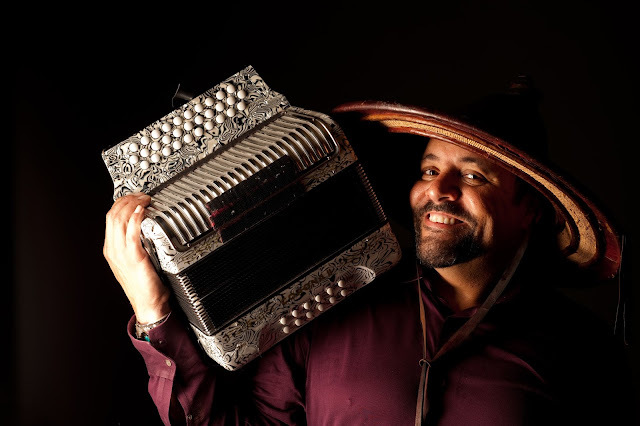 Terrance Simien and the Zydeco Experience Band will also perform for fourth through sixth grade students at all local public schools from October 23 through October 27; these performances are free and open to the public. Tickets for the Coffeehouse concert by Terrance Simien and the Zydeco Experience Band cost $10, and can be purchased at The Bistro Off Broadway, by contacting DCCA at 937-547-0908 or dcca@centerforarts.net, or purchased at DCCA’s office located within Greenville Public Library or online at www.CenterForArts.net. If any remain by showtime, tickets will also be available at the door. To make dinner reservations, contact The Bistro at 937-316-5000.